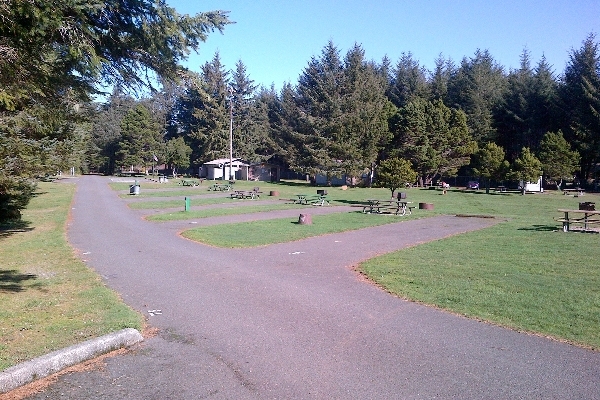 Rimmed by Sitka spruces and shore pines, this crisp, clean campground occupies a groomed lawn overlooking Floras Lake in Langlois Oregon. 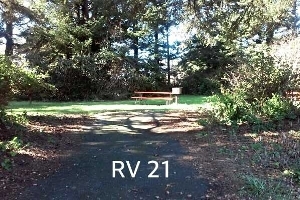 Pet Friendly, consisting of a mixture between RV and Tent sites, this campground also houses laundry and shower facilities, RV dump station, firewood sales, and free Wi-Fi. Reservations are recommended during peak months, but not required. 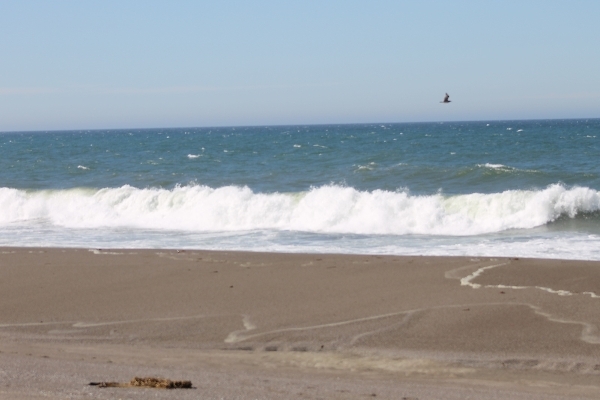 Separated from the Pacific Ocean by narrow dunes, this beautiful campground has long since been used by wind sport enthusiast. 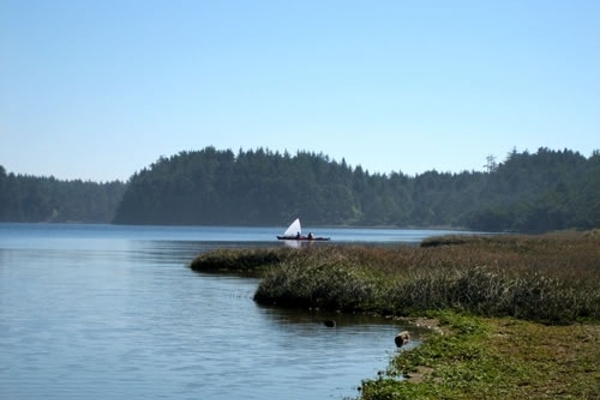 Kite boarding, sailboarding, and kayak rentals are available right next door to the campground, along the lake side trail. A boat launch in the day-use area provides opportunities for motorized and none motorize boaters to enjoy the lake and join in on the fun. 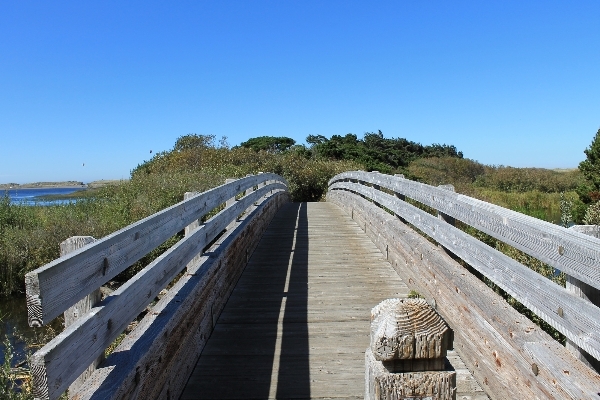 A footbridge at the day-use area outlet leads to the dunes and the long, wild beach. 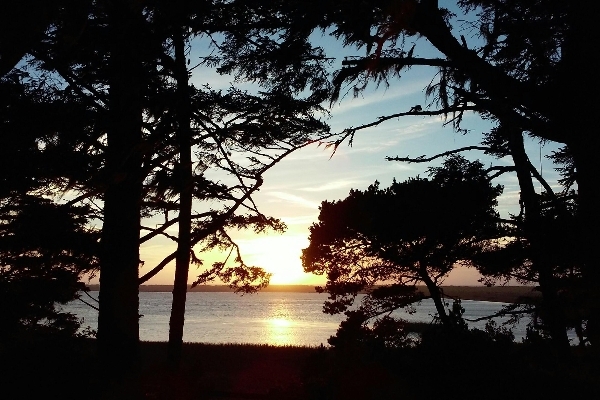 A short walk beyond the picturesque lake, the adjacent shore connects into the Oregon Coast Trail, and provides an amazing route for anyone looking to explore the region. 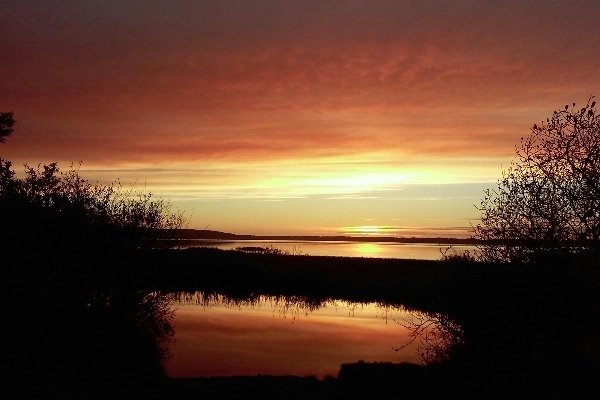 The outlet travels 8 miles connecting into the New River; this provides a one of a kind easy kayak or canoe trip with gorgeous migrating birds all along the corridor. Duck hunting exist in a section of this corridor for those that brave the winter season. 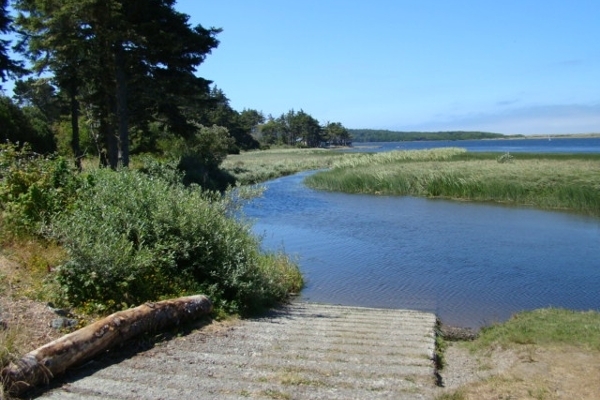 Fishing activities also are allowed at the ODFW stocked lake. Cutthroat, Rainbow and Steelhead trout, Chinook and Coho salmon and some warm water fish (bass, bluegill) are in the lake. 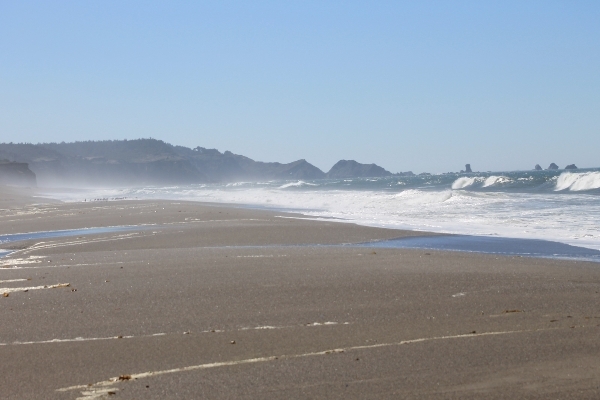 The short walk out to the ocean provides anglers with ample opportunity for surf perch, rockfish, lingcod, and other fish species. 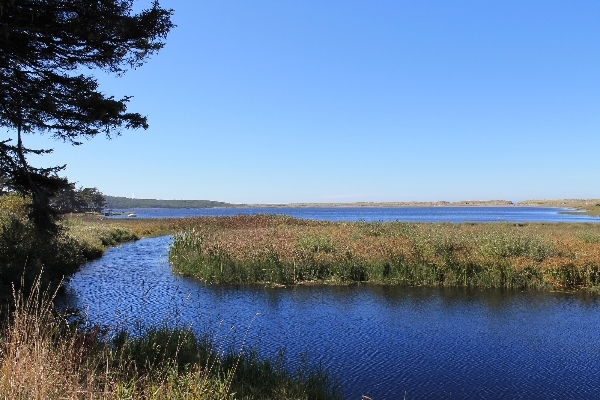 Boice Cope Park at Floras Lake is a truly one of a kind recreation designation. 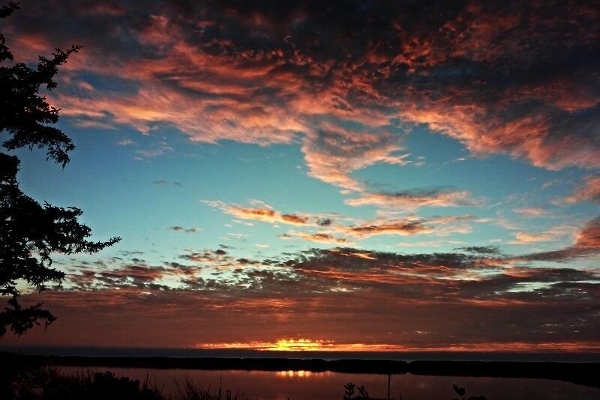 The region provides plenty of activities for friends, family, and a lifetime of wonderful memories. 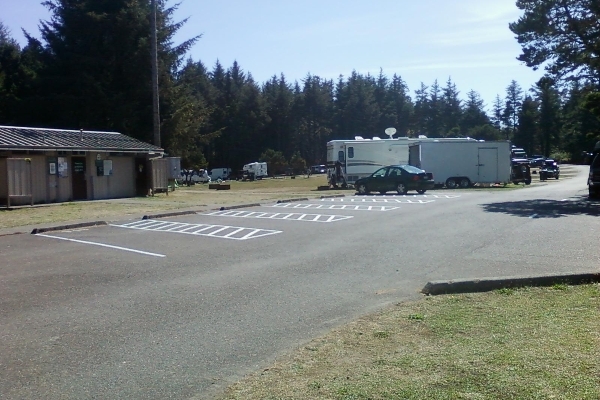 Unpadded dirt small RV site fits up to 20ft. Mostly used by small campers, camper vans, and tent users. Has fire pit, picnic table, and best lake views. Good mixture of sun and shade during the summer months. Small padded RV space fits up to 25ft. No hook ups, has picnic table, fire pit, and is used primarily for small campers, camper vans, and tents. Mixture of sun and shade during summer months. Large padded no hook up site fits RVs up to 35ft. 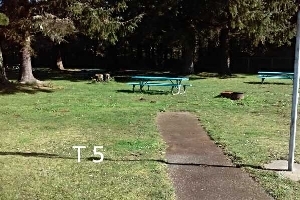 Picnic table, fire pit, lake side, and close to the trail leading down to the lake. Good shade with sun peaking though the treetops during summer months. 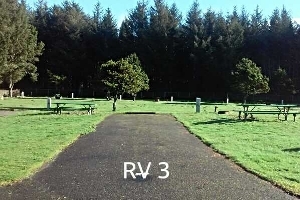 Large padded RV sites fits RVs up to 45ft. Has 15amp,30amp,50amp power, water hook up, picnic table, and fire pit. The back of the sites circle a large grass field. Good sun year round. 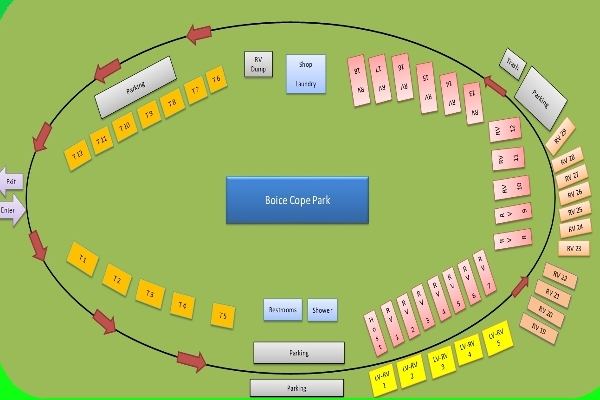 Tents sites are located in common field area. 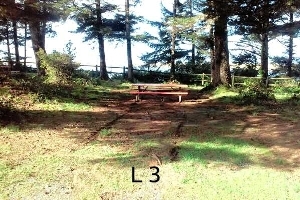 Sites are marked and included picnic table and fire pit. 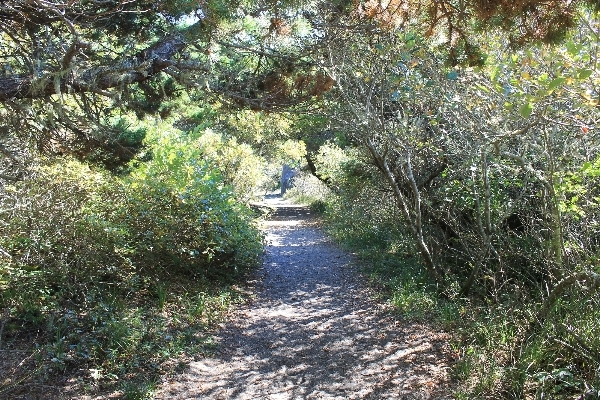 Sites receive a good mixture of sun and shade. Maximum of 2 tents allowed per site. 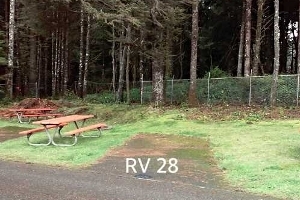 This pet friendly campground features RV Dump, firewood sale, laundry, restroom, showers, and Wi-Fi. 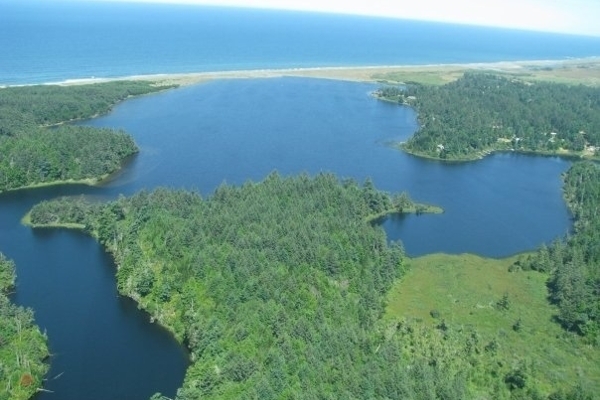 18 padded Water and Electrical RV sites. 4 padded no hook up RV sites, 7 padded no hook up small RV site, 5 no pad lake view no hook up RV sites, and 12 no hook up tent sites. 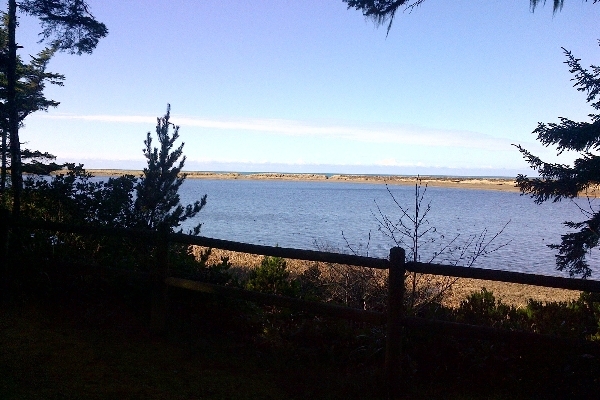 Floras Lake, New River Access, Oregon Coast Trail, Bird Watching, Fishing. 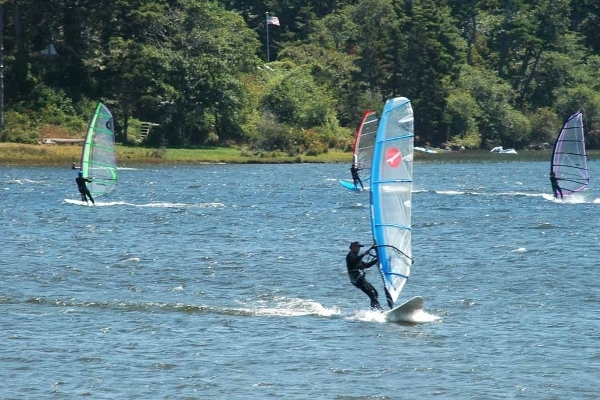 Windsurf & Kite board lessons , Stand Up Paddle Board and kayak Rentals available through Floras Lake Windsurfing & Kite boarding, http://www.floraslake.com/flw2.html. The Langlois Store boast "The Worlds Greatest Hot Dog." •	Check in 3:00pm, Check out 1:00pm. •	Reservations can only be made with Credit Cards. •	Payment in full is required when you make your reservation. •	Maximum Stay is 14 Nights in any 30 day cycle. •	There is a non-refundable $10.00 transaction fee for reservations. •	Only the person who made the reservation may change or cancel a reservation. •	Reservation fees are non-refundable – no exceptions. •	If you cancel 3 calendar days before your arrival date you receive a full refund less the reservation fee. plus the reservation fee. Contact the Parks Department to cancel if less than 2 days. •	Reservations will be held until 3:00pm on the day following your arrival date. and you will not receive a refund of any fees collected for your stay.